I am gathering a lot of the history of my family from Pentlow, Cavendish, Glemsford , Borley and Foxearth. 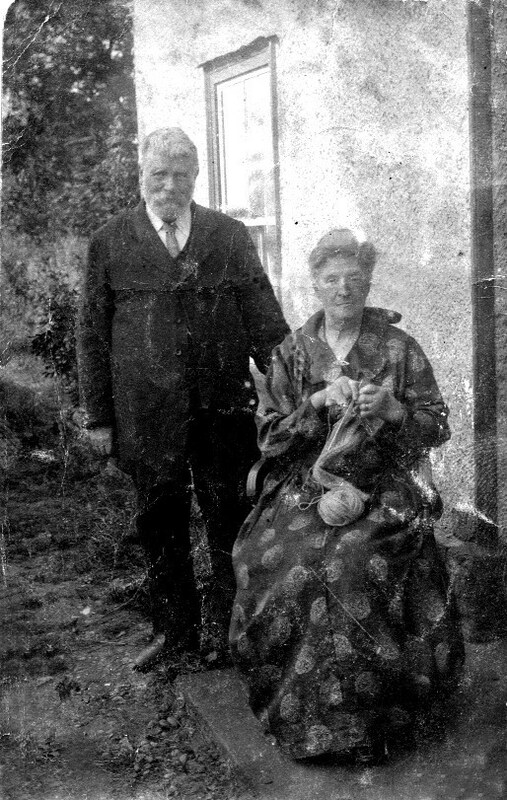 The photo you have in Cavendish of Frederick Brown outside his bakery was my great grandfather; the lady outside is Agnes Brown nee Cook from Glemsford. She was my great grandmother. In the main photo, 'The photo club 1903', there is a man nearly at the front with a moustache. I think he may be Sidney Wells, farmer, of Pentlow. He farmed from 1902 until 1932 at Pentlow Hall Farm. (now Pentlow House). 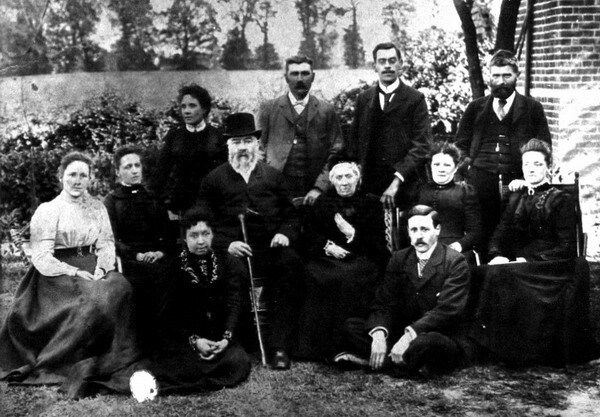 I have a family photo of the Wells family, late 1800s, and Sidney looks like the man with the moustache. This old photo also shows his mother, Matilda Theobald, from Borley. I have been researching the Wells family of Cavendish, and the Brown family. I have found them all back to 1700, which includes other families. My mother was born at Boxed Hall to Charles Wells. Ethel Brown & Sidney Wells bought Hooks Hall and Moores Farm in 1919. I have a John Wells b1742 (Cavendish?) married 6.4.1798 an Anne Sadler b 1744 Belchamp St Paul. I have 8 children for them - does this twig match anything on your tree? My Browns all come from Great Cornard but I believe that there is a link with the Cavendish Browns. I have James Wells in my family tree, born in 1825 the youngest son of George and Mary Wells of Pentlow. He married Hannah Chatters, the sister of my great-great-grandfather George Chatters of Glemsford, at Cavendish in 1846 but he deserted his family soon afterwards. Does anyone have a connection or know of the fate of James? I am researching for my family tree and any information good or bad! would be ratefully received. I have also looked at Foxearth but not sure which, if any, of the Wells mentioned belong to my tree. Except for Susan! My wifes family are Wells from Cavendish, her 4xgt grandfather was John Wells b.1776, 3xgt grandfather was James Wells b.1804, 2xgt grandfather George Wells b.1828, anyone interested in exchanging more details on this family please get back to me.